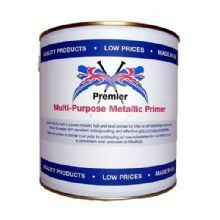 Premier Multi-Purpose Metallic Antifouling & Yacht Keel Primer. Quick drying for use on all substrates above and below the water line. Excellent waterproofing and effective anti-corrosion properties also make this an ideal yacht keel primer. 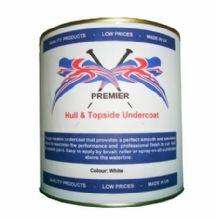 Ideal as a primer or barrier coat to antifouling all new hull substrates GRP, wood, steel, ferror cement, and aluminium or as a conversion over unknown antifouling. Though durable undercoat that provides a perfect smooth and sandable base to maximize the performance and professional finish to our hull and topside paint. Easy to apply by brush roller or spray on all substrates above the waterline. Available Colours: White and Grey. The Grey Undercoat is ideal for dark topside colours. Our Hull and Topside Paint for motor boats and yachts is sourced in the UK to our specifications from single pack polyurethane. Easy to apply by either roller, brush or spray it gives a deep gloss finish for all areas above the waterline. Durability - Premium Quality, for long life. High Colour Retention. High UV Resistant. Premium Results - High Quality, smooth and professional high gloss. 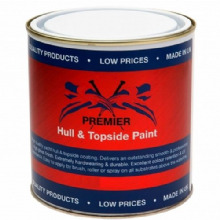 Hull and Topside Paint contains extenders for flexibility in sunlight and is suitable for all substrates including wood, fibreglass, steel, concrete and aluminium. A selection of traditional boat colours are available. The Best Performance/ Value for money antifouling on the market today. Copper based self-eroding antifouling for all sailing and displacement yachts with speeds up to 10 knots. Suitable for all low to Medium areas of fouling, fresh and salt water. Free of booster biocide for less environmental impact. Good performance for the money. 2.5ltr cans (25sqm). Apply 2 coats and extra around the waterline and leading and trailing edges. Full season's coverage. Self-priming when topping up existing similar copper based antifoulings. ​Please note that as with all copper based antifouling when the paint is submersed in the water and activated the colour of the paint will lighten. Semi-hard high strength top quality copper based antifouling for all sail and power craft up to 40 knots but still able to refresh its surface with some mild erosion, effective in all European fresh and salt water areas of high fouling. 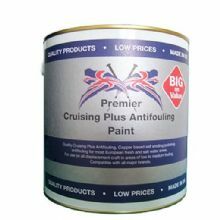 Suitable for long distance cruisers and racers by the semi hard nature of the paint system, this also makes it suitable for trailered craft and dry moorings. Well up to performance of top leading competitor products relying on maximum copper content rather than booster biocide to reduce environmental impact. 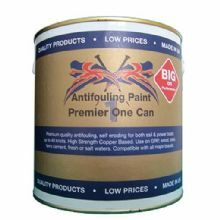 This product is self priming when topping up existing copper based antifouling. To ensure maximum full season performance apply 2 coats and extra around the waterline and leading and trailing edges. For use on GRP, Wood, Steel and faro cement. Not suitable for aluminium or galvanized surfaces.